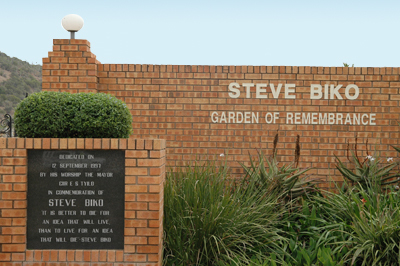 Visit the Steve Biko Bridge , the Steve Biko Statue, the Zanempilo Clinic , the Steve Biko Office, the Steve Biko Garden of Remembrance , the Steve Biko Monument and the Steve Biko Centre. The optional extras at additional cost ,all of which must be booked in advance ,include reserved catering, transportation options and a special performance by the group Abelusi one of the productions created around the life story of Steve Biko. 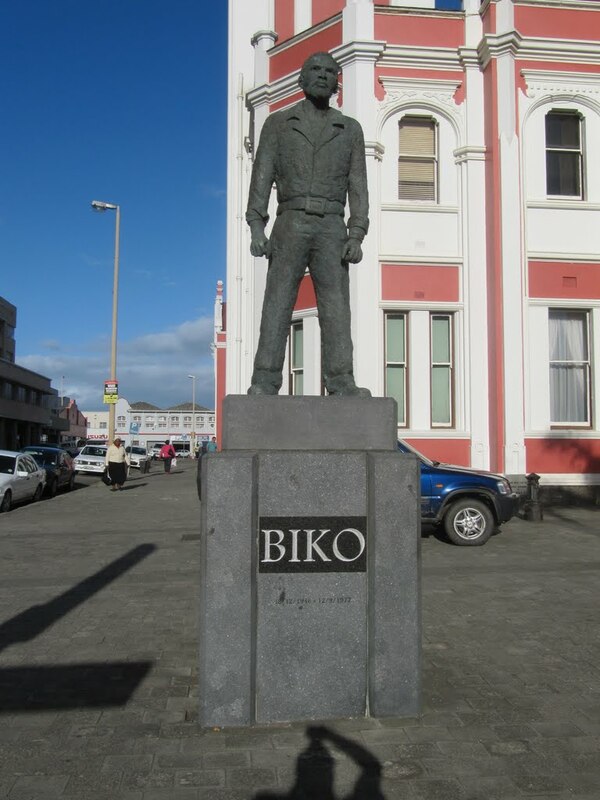 The Biko Monument is situated in the Township of Ginsberg Township, which falls in the King William’s Town/Bisho tourism node. The monument is within a ten minutes walking distance from the site of the proposed Steve Biko Centre. The Biko Monument, No 698 Leightonville belonged to Biko’s mother Alice Nokuzola Biko. It was here that Steve Biko served his banning order from 1973 until the time of his death in 1977. 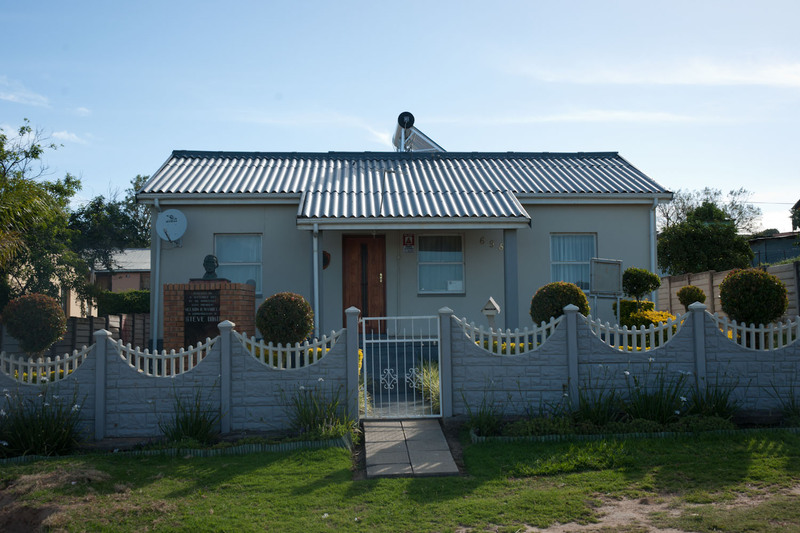 The home was declared a national monument in 1997 on the occasion of the twentieth anniversary of the death of Steve Biko. On the same occasion of the declaration of the monumen a statue was erected in Biko’s honour. The statue stands before the City Hall on Oxford Street in East London. This bronze statue was sculptured by Johannesburg based Naomi Jacobson. 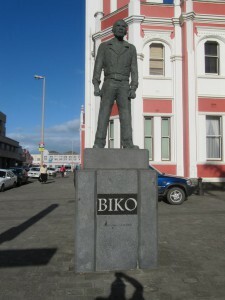 Jacobson’s interpretation of Biko has drawn both praise and criticism alike.The initiative to erect the statue was headed by Biko’s friend, the late Donald Woods. Because of its prime position on the main road, it enjoys very good visibility. No. 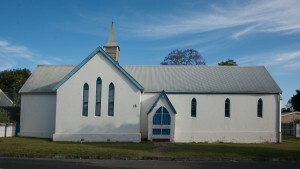 15 Leopold Street, in an old Anglican Church Building situated in King William’s Town. The building is the historic office of the Black Community Programmes, the development wing of the Black People’s Convention which hired Biko as its Branch Executive following his banning in 1973. The building was rented from the Anglican Church with the assistance of Father Gawe and Father David Russell (now a retired Anglican Bishop and former member of the board of Trustees of the Steve Biko Foundation). The office was responsible for the various programmes including Zanempilo clinic and Njwaxa Leatherworks. It was both a base and a point of convergence for a vast array of Black Consciousness activists including Thenjiwe Mthintso (formerly South African Ambassador to Cuba) and Malusi Mpumlwana (now Bishop of the Ethiopian Episcopal Church and former Head of the Kellogg Foundation). It was raided and vandalized on numerous occasions by the King William’s Town Security Branch. 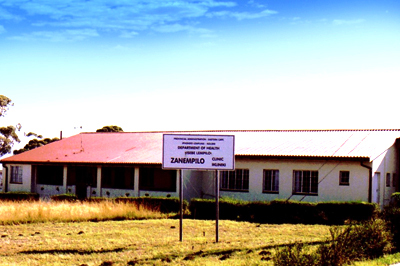 Zanempilo Clinic is a community health centre in the rural village of Zinyoka outside King William’s Town. It was established by Biko as one of the projects under the auspices of the Black Community Programmes. It boasted facilities superior to any of the public health centres in the area and was based on notion of self help. The clinic was opened as part of the Black Consciousness Movement to combat racism, serving a community of about 10 000 people-mostly women, children and the elderly. In 1997, the Buffalo City Municipality approached the Biko family with a proposal to erect a tombstone at the grave of Steve Biko. In recognition of the contribution of other members of his community the family requested that the focus be shifted to upgrading the entire graveyard instead of Biko’s grave. The graveyard was thus improved and declared a heritage site called the Steve Biko Garden of Remembrance. It is maintained and serviced by the Buffalo City Municipality. 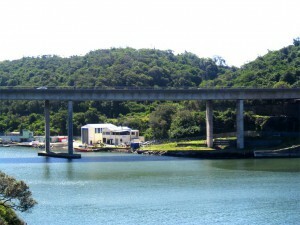 The Steve Biko Bridge, formerly known as the John Vorster Bridge, was renamed in 1997 on the twentieth anniversary of Biko’s death. One of the most important aspects of the bridge is its proximity to Fort Glamourghan Prison. Known in Xhosa as kwaNongqongqo this was a notorious prison in which many political prisoners were incarcerated. Steve Biko served a long period of solitary confinement here in the mid seventies. 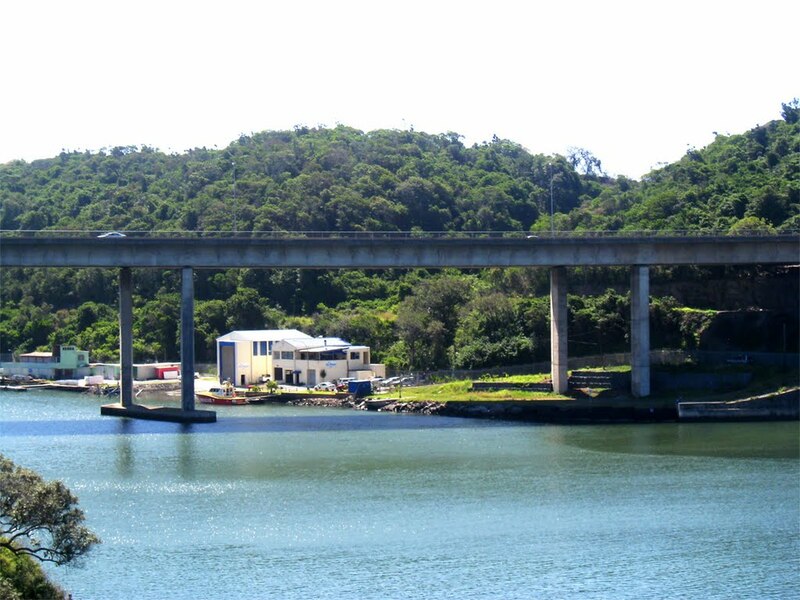 Crossing the Buffalo River as it forms into the East London Harbour, the Steve Biko Bridge is an important link between East London City on the one side, as well as West Bank and the Airport, on the other. It is a well trafficked bridge situated near East London’s biggest employer, Daimler Chrysler, and within close proximity to the proposed Industrial Development Zone. On the eastern side of the bridge, lies the East London Waterfront, with restaurants as well as docking bays for yachts used to ferry tourists on cruises into the Indian Ocean. The East London Waterfront is almost directly situated beneath the Biko Bridge and provides excellent views of its underbelly.